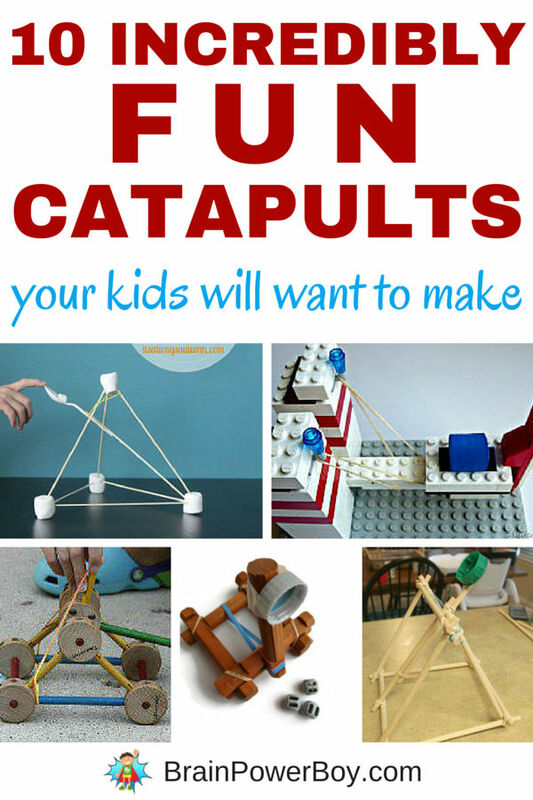 10 Incredibly Fun Catapults Your Kids Will Want to Make! Here are 10 incredibly fun catapults! Playing around with catapults is first-rate fun! Today we have rounded up some fun catapults from small to large. Oh, and when I say large, I mean the big enough to toss a pumpkin type of large! 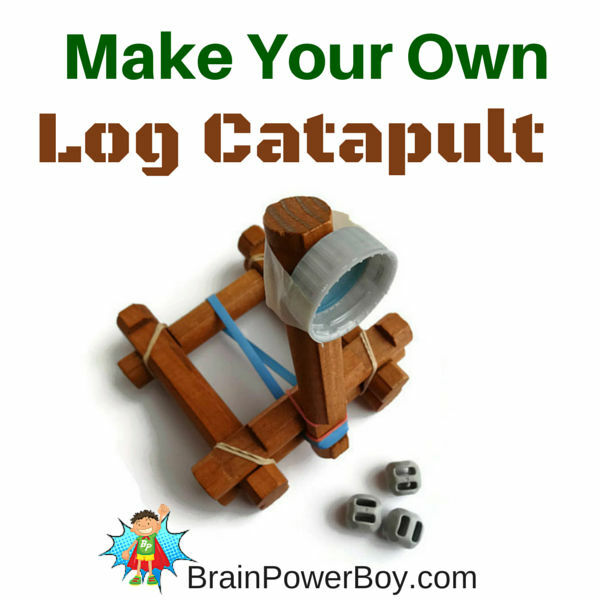 If you like these catapults be sure to check out our activities for boys page for more fun ideas. We are starting with the smallest catapult and moving on to the largest. Try a few in different sizes, and if you are really brave and ambitious be sure to make the pumpkin chucker. Totally send us a picture if you do! 1. Our first catapult is easy to make with craft sticks and rubber bands and a few additional supplies you likely have at home. 2. LEGO fans will love this one! Here is a very cool LEGO catapult with good directions from Planet Smarty Pants. 3. We made this toy Log Catapult. There are plenty of pictures so you can see how to make it. I can guarantee that it is a lot of fun! 4. Shooting marshmallows is a winning activity for sure and this marshmallow catapult not only shoots them, it is made out of them! 5. Next up is this fun catapult made of dowel rods and rubber bands. They used it to shoot a variety of things. Looks fun! 6. As I said, we made ours out of toy logs, this catapult is made from Tinker Toys. Remember those? 7. This is also made of dowel rods and rubber bands but is scaled up in size and works differently too. 8. They said this wooden catapult goes together in under an hour. It is made with 2x4s and bungee cords. 9. The Wyrvern catapult is made with lumber and rope. It is a powerful catapult so it is only for use outdoors. 10. This is the biggest catapult on the list and they call it the pumpkin chuckin’ catapult! It requires some woodworking skills and quite a few materials. Pretty cool though and I’m sure kids would love to have this in their backyard! Are you going to make one of these? I am still trying to figure out which fun catapult we are going to try first but I’m sure we will be making several of them. We have the book featured below and love it!